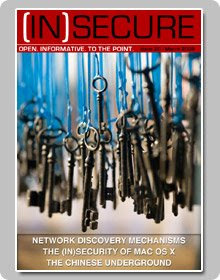 Article on Web 2.0 cases and challenges is part of (IN)Secure magazine. You can read it over here (March 09). Web 2.0 applications are emerging at a rapid pace and also penetrating deeper into the corporate structure as Enterprise 2.0 applications. 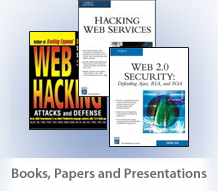 Adaptations of Ajax, Flex, SOA, RSS Feeds, JSON structures, etc. are used continuously across applications. Old applications are getting a new look through these technologies and platforms, while fresh applications are written using only these building blocks. By the end of 2008 we have seen and assessed a good amount of applications that are now well molded into a Web 2.0 framework. A Web 2.0 application adaptation is not restricted to one industry segment but applicable to all verticals like financing, insurance, portals, etc. If the Internet is the network of networks then Web 2.0 can be perceived as the application of applications.